A microsite on one of our well-established websites gives you a place to aggregate content about your company, everything from your company profile, contact information, press releases, product photos, principal profiles, corporate research, and whatever else you want to provide potential customers. Our web designers have done all the work already so all you need to do is provide the content. The exclusive Supplier Section  is accessed via your logo ad  on the homepage of one of our topical channels. Rates for Microsites are just $500 per month. Placement on a channel puts you in front of people already interested in your product. 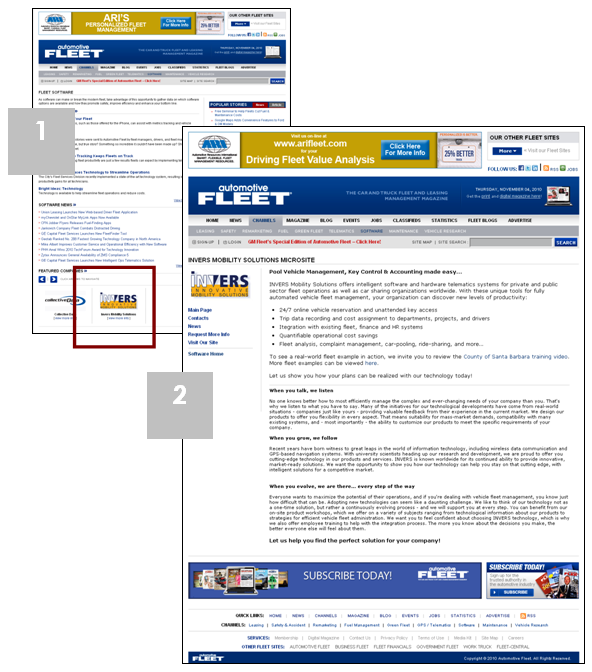 View our Microsite sections on Automotive Fleet and Work Truck. COPYRIGHT © 2019 BUSINESS FLEET. ALL RIGHTS RESERVED.